Raised beds can help reinvigorate (or even create) a garden out of nothing, but I know that many of us don’t have the wherewithal to create custom-built beds. Sometimes it isn’t a bad idea to look to the many companies that have designed raised bed systems of all sorts. 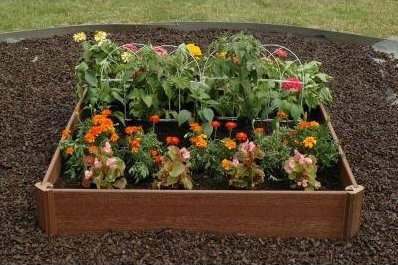 These raised beds allow you to spend your time gardening rather than building — and this certainly what I would prefer doing. Most of these systems are designed for square or rectangular bed. Unfortunately, most of the beds I am refurbishing are oddly shaped including several triangular beds in the front garden and curving organically-shaped beds in the back garden. This has prevented me from using pre-built raised bed systems in the past, but I see a few in this list that might be adaptable to odd shaped beds. Sometimes, though, you just have to carve out a rectangle where you can and ignore the existing bed shapes. 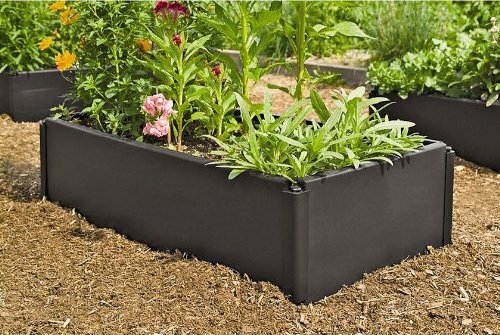 While black plastic might not be your favorite style choice, it does provide a long-lasting raised bed solution. Perhaps you could dress this up with some paint or arrange breaks or stones around it to soften it? On a more decorative side of garden decor, the Gronomics elevated beds are not only nice looking, they are also great for those of us who might be constrained in our movement, whether due to back pain, disabilities or old age. You don’t have to fear the pain of stooping and squatting with these planters. 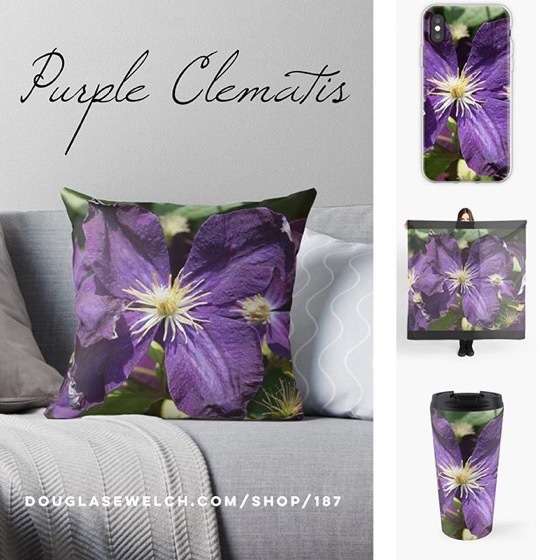 They come in a variety of shapes, sizes and heights, so you can pick the one that best works for you and your garden. 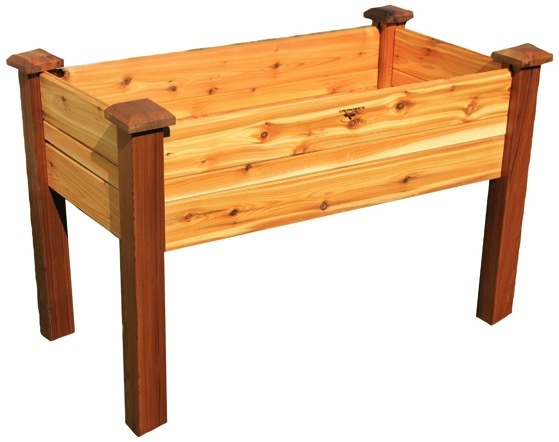 On the more decorative (yet still functional) side of things, VegTrug makes his lovely, wooden garden trug design elevated garden bed. The V-shaped container allows for growing deeper rooted vegetables that might not grow well in more shallow boxes of pots. 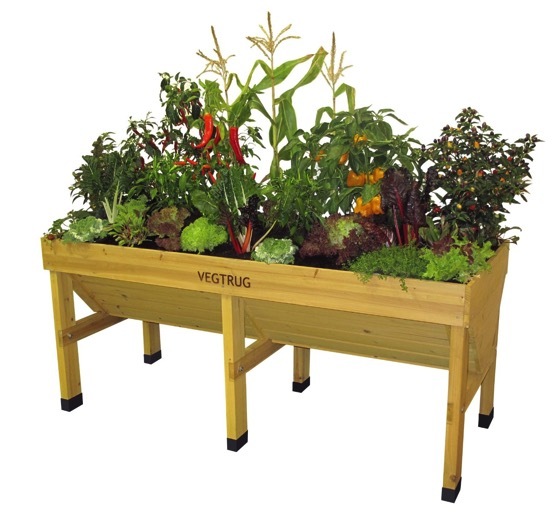 VegTrug has a variety of sizes and finishes for these products and even small units designed for use by apartment or patio gardeners. I would imagine with a little creativity you could probably even figure out how to fit it with casters for easy movement around whatever space you might have available. 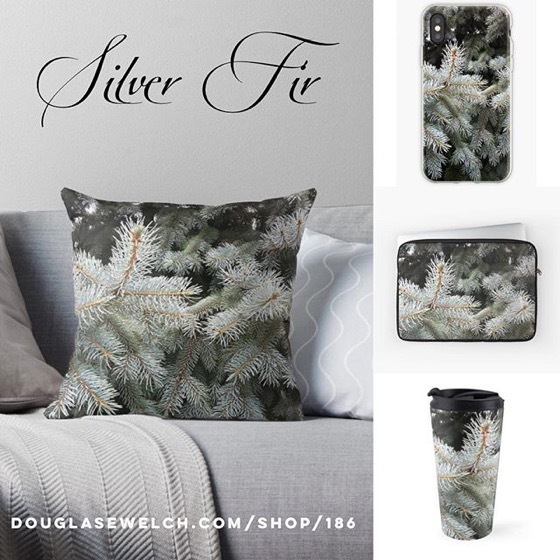 Categorized under: Container Garden Update, DIY, Food, Garden Decor, hardware, Landscape, Nature/Outdoors, Plants, Products, Projects, Vegetables.